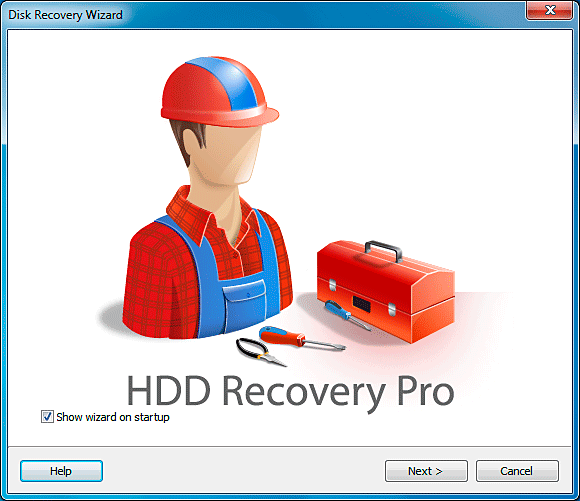 Download and install HDD Recovery Pro. 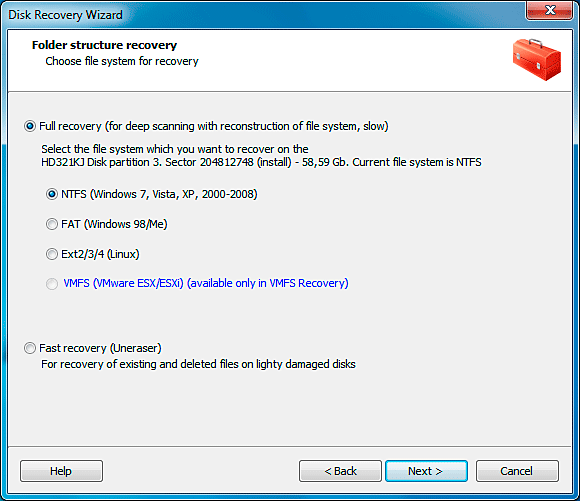 Warning: Never install HDD Recovery Pro on the same disk or partition that contains the corrupted data you are about to recover. If you do so, you are taking the risk of losing your data forever. 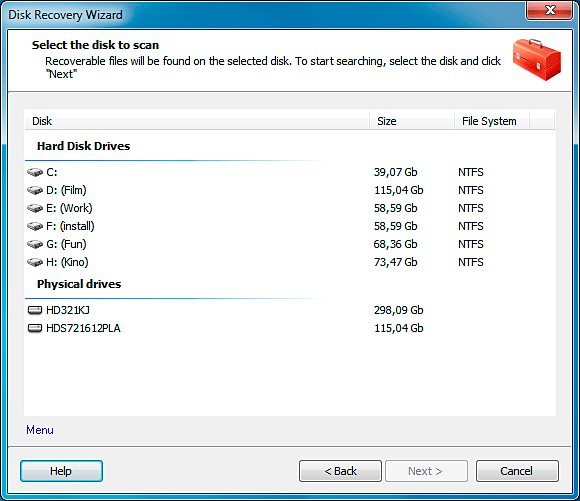 Install HDD Recovery Pro onto a secondary hard drive, memory card, floppy disk, USB drive, network drive, or burn it onto a CD or DVD. Run HDD Recovery Pro.exe , and select "Help" - "About" to register the product if you have already purchased your registration key. If you didn't place an order just yet, click "Help" - "About" - "Buy Now" to buy a proper registration key, and then click "Input Key". Alternatively, just click here to buy. Double-click HDD Recovery Pro icon on your computer desktop, in the Start menu or in the folder where it's installed to launch the data recovery process. 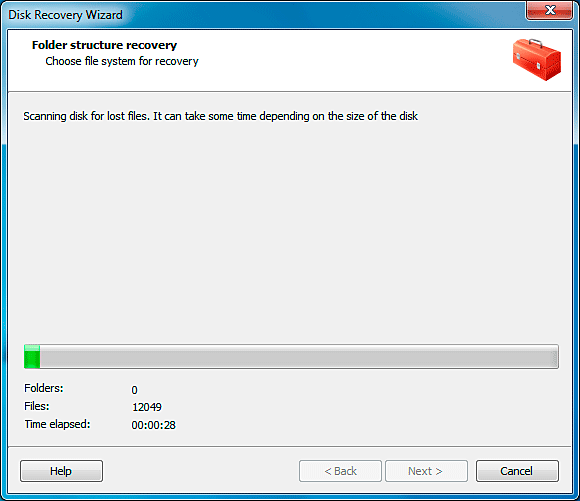 NOTE: If you wish the Recovery Wizard to assist you every time you launch HDD Recovery Pro, select "Show wizard on startup". Select a disk, partition or folder to scan for lost files. Check the necessary locations, and then click Next. The following Scanner Window shows the progress with the number of recovered folders and files. When recovering large volumes, you may want to sit back and enjoy a mug of freshly ground coffee, so it's high time to go and get one. After the scanning is complete, click Finish to get all the restorable files in the Explorer-like window. 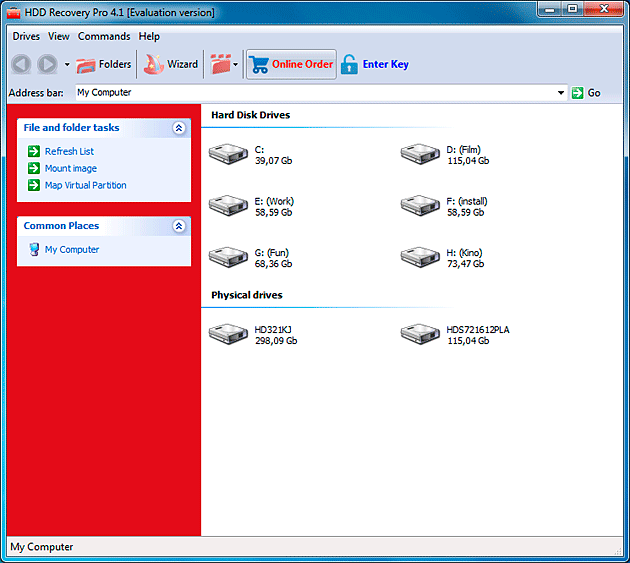 HDD Recovery Pro supports all the usual refinements of the Explorer, namely the file search, tree and folder view, go-back, go-forward, and file details. If you're about to recover list digital pictures or Microsoft Office documents, you can preview them before performing the recovery even with the free version of HDD Recovery Pro. 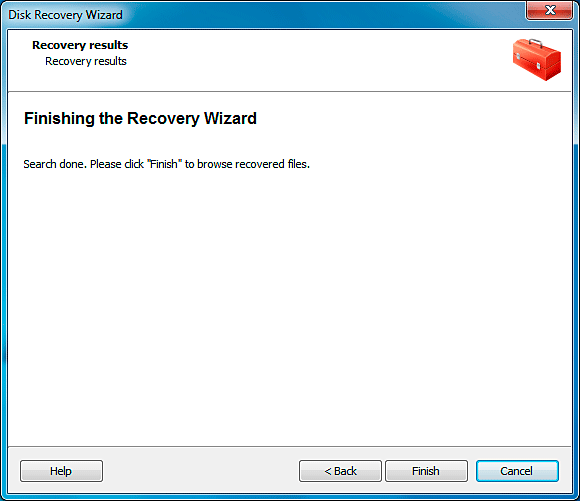 On the last step of the Recovery Wizard a confirmation window with an underlined link is displayed. Click the link view the recovered files, and click Finish. 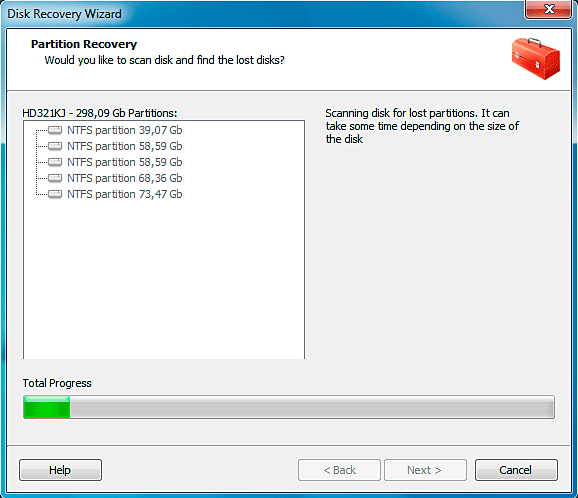 The Recovery Wizard opens up automatically when you launch HDD Recovery Pro. 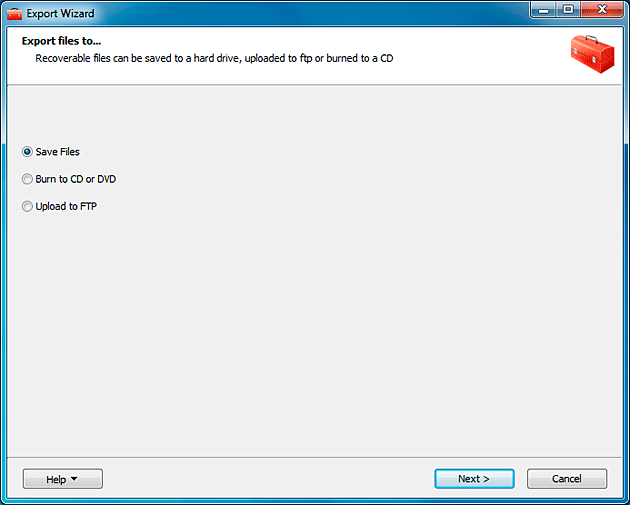 Tick the corresponding checkbox if you'd like the Recovery Wizard to launch every time you start the program. If you prefer full manual control over the data recovery process, deselect the checkbox and click "Cancel" to close the Recovery Wizard. 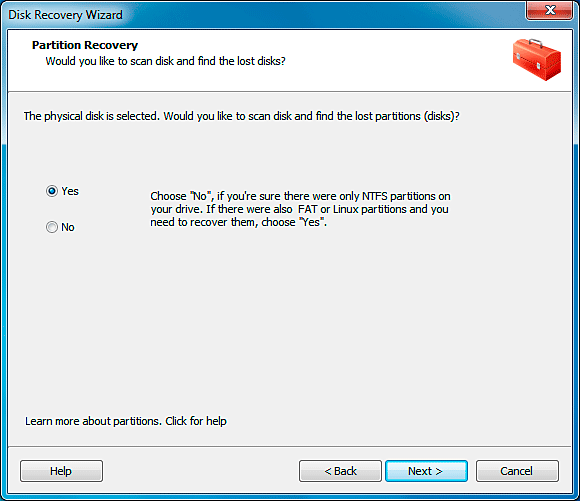 Select a partition and click Next. Choose type of a file system to recover and click Next. Select location to save the recovered files to, and click Next. After the scan is done, click Finish, and you'll get all the recoverable files shown in an Explorer-like window. 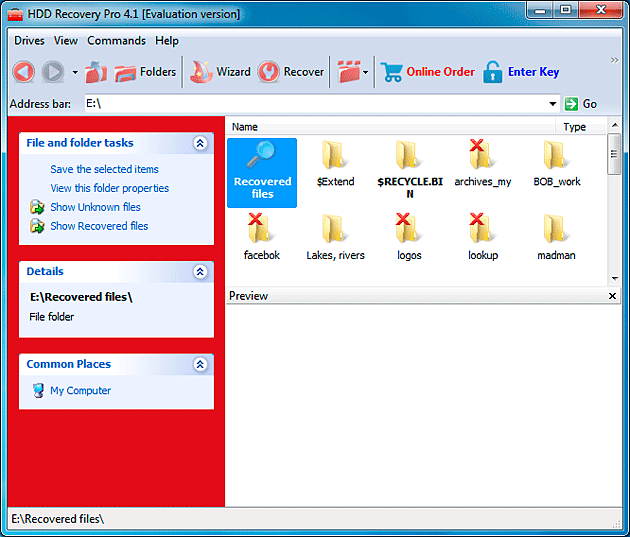 HDD Recovery Pro supports all the usual refinements of the Explorer, such as the file search, tree and folder view, back and forward navigation, as well as file details. You can preview digital pictures and the contents of office documents before recovering them. 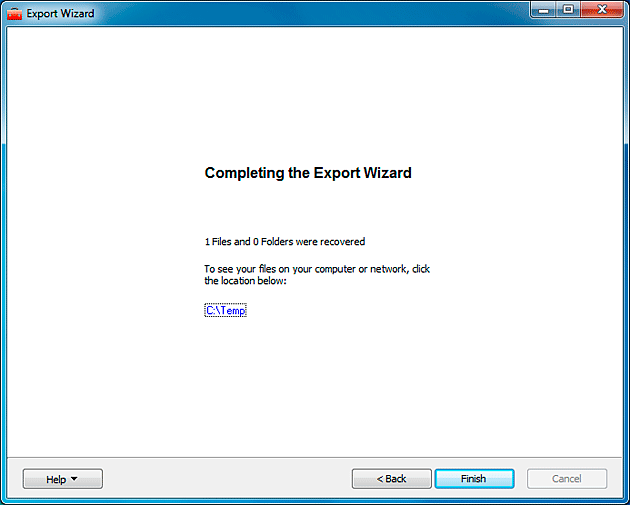 Select a file or folder to recover and click "Recover" to launch the Export Wizard. Select location to save the recovered files to. 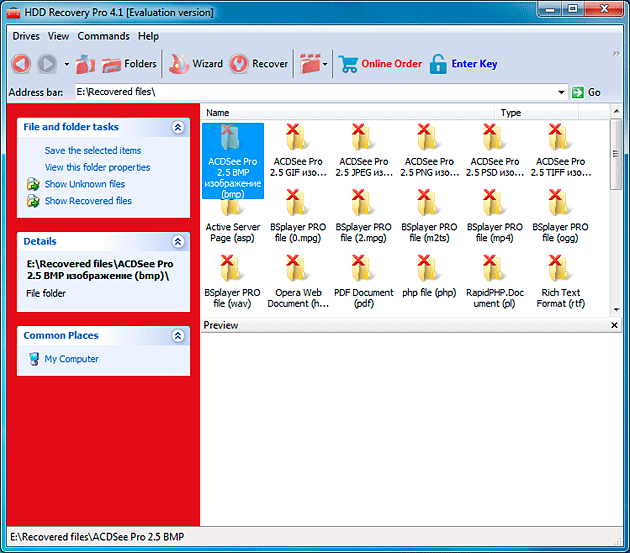 After the recovery process is complete, click on the displayed link to view your files. Then click Finish. 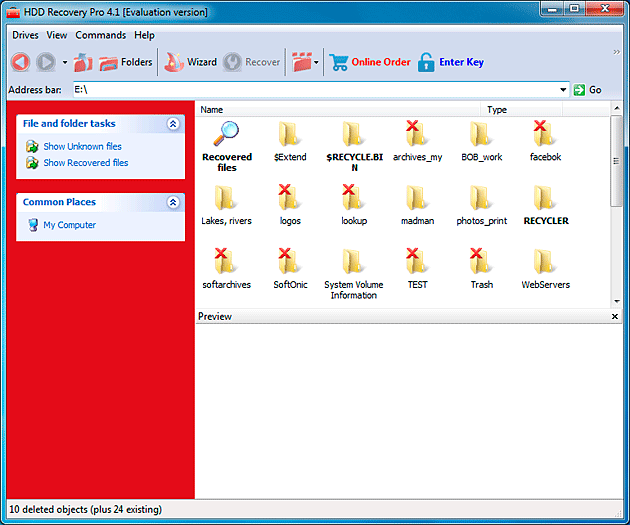 The "Recovered files" folder contains lost and deleted files discovered with SmartSearch. 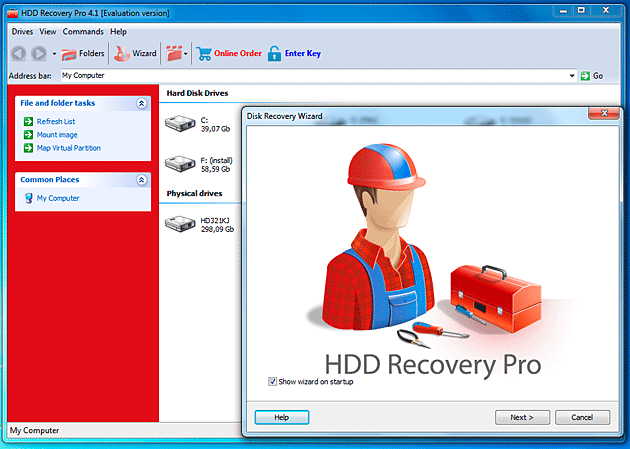 The new SmartSearch technology invented by HDD Recovery Pro combines the strengths of the two different data recovery methods. First, it scans your file system and locates the files that were simply deleted. During the next step, it scans your hard drive directly in order to locate files that were wiped out of the file system. SmartSearch uses a list of file signatures to detect recognized file types such as Microsoft Word documents, Excel spreadsheets, or JPEG pictures, over 100 different types of files in total. This method works great even if your hard drive is 90% dead, and its file system is completely non-existent. In that case, SmartSearch will simply scan and recover what's left of your disk and your data. This is similar to what the second class of data recovery products does. After the search is complete, you'll see a list of folders that contain files of certain types. You can preview digital pictures and office documents before recovering them. To preview a file simply click on its icon and The Undelete will display a preview on the left hand of the window. Click "Display Preview" for a larger preview.